Delivery service available in the Runcorn area. We are offering an introductory delivery service in this area. Delivery days will be Tuesday, Thursday and Friday. All our pies are made on site using the freshest possible ingredients. The meat comes from our own team of butchers. Unlike other pie makers we put the best in our pies not the bits!! The cuts we select are the finest for slow cooking that is why the meat is so tender. We make our own short crust and hot water pastry using finest quality Lancashire flour . Our vegetables are from Hales of Frodsham and are all hand prepped here. All pies are fresh suitable for freezing on the day of purchase. Made using the juices from our home roasted meats and natural seasoning – nothing artificial what so ever. Available frozen. We sell a number of unbaked large format pies suitable for functions. They are provided with cooking instructions and couldn’t be easier. Hot Pots feed approx. 8 people and can be ordered up to 24 hours in advance. A Classic Hotpot filling is Chunky Steak with Potatoes and Carrots in a Rich Gravy. Hotpots can be purchased in any of our other pies fillings. Cooked sliced meats can be purchased on platters for buffet service. Cooked chicken drumsticks choose from plain, hot & spicy or Chinese. 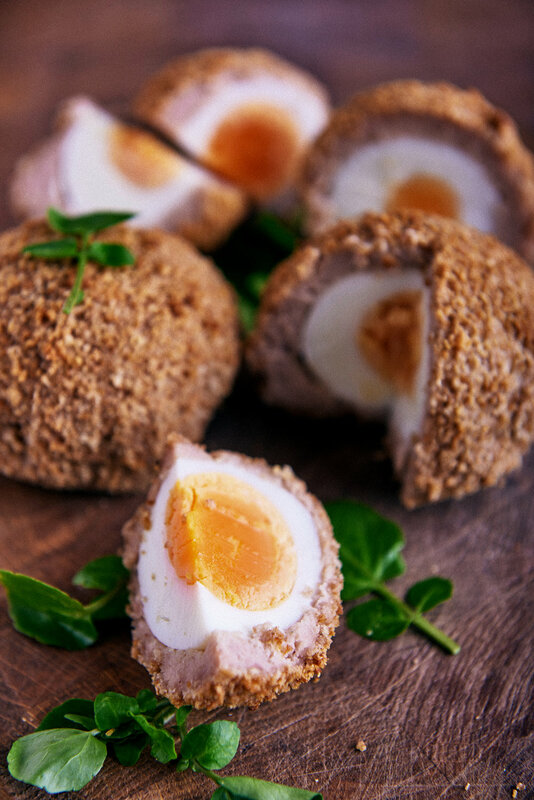 Pork pies and sausage rolls are available in two sizes, scotch eggs and quiches are easily sliced and served cold. If you are interested in hot pots or a buffet selection – call us with any queries or to place an order. Any of our pies can be purchased by trade for sale in cafés, pubs, delis and chip shops – call Sue or Elaine for more details. We offer a lettering service on any of our extra large or hot pot pies. Create your own message, wish someone a happy birthday, celebrate weddings, christenings or just a family get together. We also do a range of specially decorated hotpots for Halloween, Bonfire Night, Christmas and New Year. The ultimate show stopper for your big day.